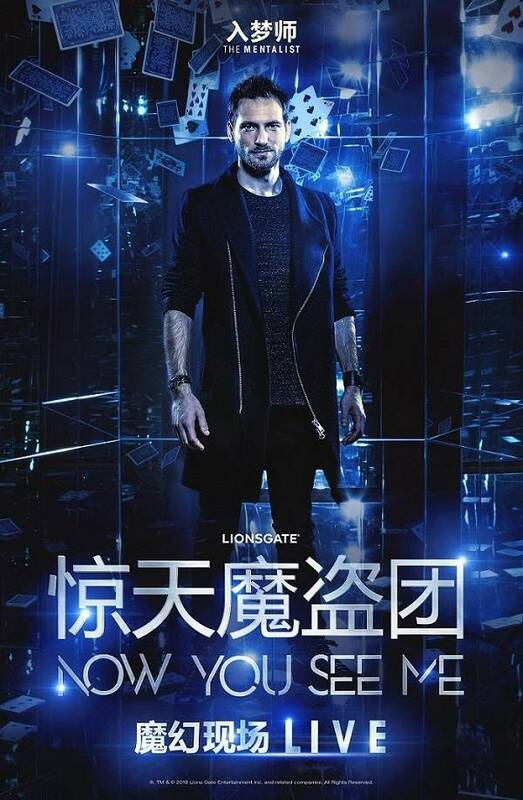 Now You See Me Live is a state-of-the-art magic show with cutting-edge technology, surprise twists, and never-before-seen illusions from some of the greatest magicians in the world. 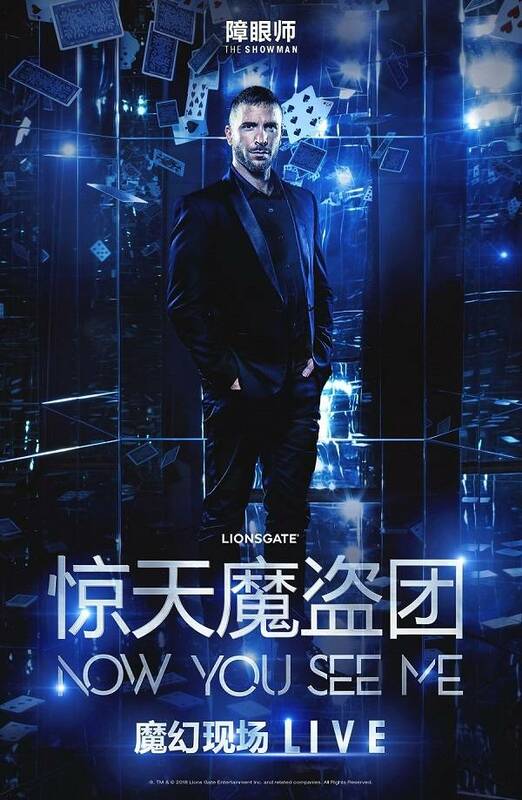 Lionsgate is launching the “Now You See Me Live” magic show tour, based on its film franchise and in partnership with The Works Entertainment. 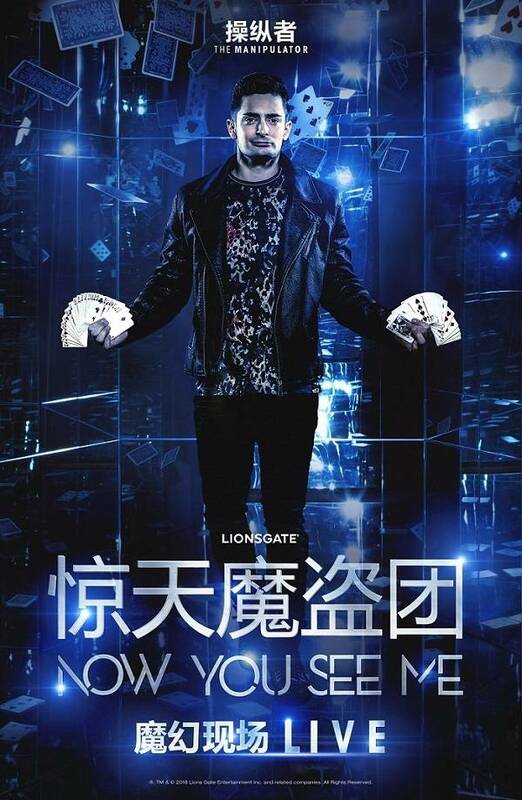 NOW YOU SEE ME LIVE! James More is currently one of the world’s leading and most viral illusionists. He first made an impact after an incredible run on Britain’s Got Talent in 2013 and has the most watched audition from his series with over 80 million hits on YouTube. 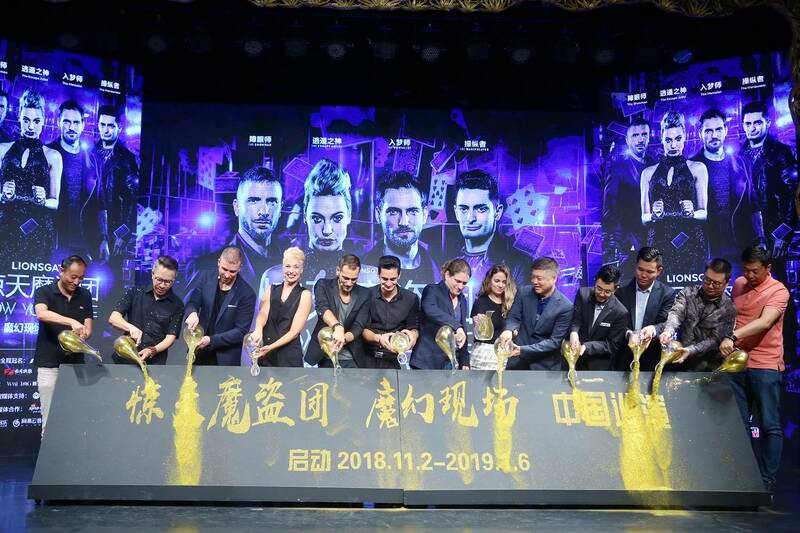 The British-born illusionist continued to make waves after a sell out tour in Russia with his, Theatre of Illusion show and soon after was approached by the world’s largest touring magic show, The Illusionists. After performing with the show for over two years in five continents around the globe, More became the first British magician in history to appear on New York’s infamous Broadway. His fast growing reputation also includes a special guest appearance on NBC’s, America’s Got Talent, a feature on, Got Talent World Stage and numerous other television appearances. His live work comprises of performances at London’s 02 Arena, The Hollywood Pantages in Los Angeles and the Sydney Opera House to name but a few. Born in Bordeaux, France, Florian Sainvet began his career in magic at the age of sixteen, but it was while devouring his favorite science fiction films and universes at his beloved neighborhood cinema that he discovered his true calling as a futuristic manipulator and illusionist. After three years of diligently honing his craft, Florian participated in the television series France’s Got Talent and wowed the judges and audience with his half man, half robot persona and act. After finishing third in France’s Got Talent, Florian’s career sky-rocketed, bringing his cutting edge-style to the world’s stage at The World Championship of Magic where the leading Champion of France received a rousing standing ovation. Florian’s unbridled passion and hard work coupled with his vanguard approach to manipulation and magic will leave you wondering… which universe is he really from? Sabine was born in Amsterdam, in Holland. She started in show business as a dancer for The Holland Show Ballet when she was 18 years old. Sabine’s exceptionally skills as well as striking looks have taken her all over the world. She has modeled and danced at events at the highest commercial and artistic level. Sabine has been working in magic for over a decade. During this time she worked with master magician Hans Klok and won the prestigious Silver Clown at the Circus Festival in Monte Carlo. Now an accomplished solo artist, Sabine has starred in the London West End show Impossible. She has toured through North-America and Canada with The Illusionists Live from Broadway and is one of the resident hosts and performers at Amsterdam Magic. She has starred in several TV shows such as Holland’s got Talent, Le plus Grand Cabaret du Monde, Saturday Night Live and was seen on the BBC. Sabine has been described as “one of the most extraordinary and talented performers in magic” with her amazing performances, escapes, illusions and mindgames she continues to live up to that with every performance and in an industry so dominated by men. That in itself, is no mean feat. Forget everything you know and prepare to live an unprecedented experience though which all your senses will be put to the test. You will come to see that magic and illusion can be taken way ahead of mere entertainment. Enzo held his first magic show at eleven years old, with humble resources. However, he wished to stage far more impressive illusions, and at a larger scale. It was his performance on the TV Show France’s Got Talent, where his imagination and maturity stood out to both the audience and the jury. A couple of years later, the audience of Le Plus Grand Cabaret du Monde was, in turn, mesmerized. This new publicity opened the doors to the most prestigious events in Europe, as well as the greatest international festivals. Enzo has been considered the rising star of magic since then. In 2013, he returned to France’s Got Talent, where he stupefied the jury and the audience again by making a helicopter appear on stage, an act that had never been seen before on television. 2015 was his year of recognition. At barely 26 years old, he stepped on the stage of the mythical Casino de Paris to premier his show, Beyond illusions. It was the starting point of an adventure of a lifetime.